In an attempt to secure the future of their casino and its neighbourhood, Christchurch Casino has bought an adjacent parcel of land. The purchase is to ensure that the local Victoria Street precinct remains vibrant. The site is more than four thousand square metres in size and was on the market for the first time in thirty-five years when the casino snatched it up at Collier’s International auction for 3.7 Million. In addition to the casino itself, the company now owns eleven thousand square metres of land around the casino. Having taken the opportunity to buy the additional parcel of land on their doorsteps, the new owners don’t have any immediate plans for developing the land. However, the casino owners have the vision to help develop Victoria Street into an attractive place to visit and might use the land as an alternative car park in the short term. Gambling laws prevent the casino owners to extend their gambling facilities onto the new site. This was known to them when they bought the land. They are due to renew their gambling license in 2019 and are planning a casino hotel with a multi-storey car park on a different part of their land. 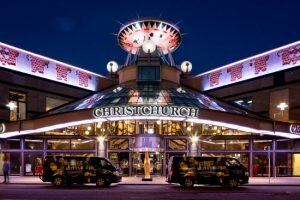 Christchurch Casino is the oldest of New Zealand casinos and opened in 1994. They operate thirty-four gaming tables and five hundred slot machines. The casino has two bars and three restaurants and is open to gamblers above the age of twenty. Prices for homes in Christchurch are at their lowest in a decade and first home purchases have risen significantly. Houses have become more affordable because income levels have risen, while the housing market stayed the same. Interest rates have also dropped slightly. The suburbs of Philipstown, Aranui, Linwood, Bromley, Waltham, New Brighton and Woolston have the lowest property prices in Christchurch.